How Fast Are Humans Evolving? Posted on April 28, 2015 | Comments Off on How Fast Are Humans Evolving? Most paleo lifestyle proponents think that, genetically speaking, those of us living today are pretty much the same as our ancestors living 50,000 or even 200,000 thousand years ago. That may not be the case. On the other hand, the experts are debating now whether the pace of human evolution has accelerated over the last 10,000 years. The iconoclasts say it has. For example, remember that most mammals lose the ability to digest milk after they’ve been weaned off the teat in early life: they lose the lactase enzyme that allowed them to digest milk sugar (lactose). 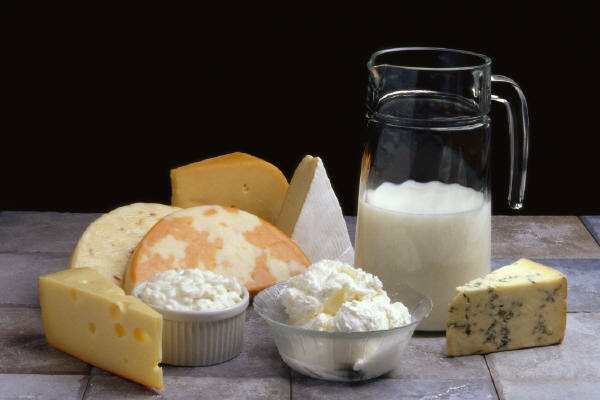 That’s why lactose intolerance is so common among adult humans—only a third of us worldwide can digest milk. Five or 10,000 years ago, a genetic mutation occurred that allowed those possessing the gene to consume and digest milk. So a whole new source of food for adults opened up: dairy cattle. Would that have conferred a survival advantage? You bet. We have evidence that the milk-digesting mutation spread fairly quickly since its appearance. But it hasn’t spread across the globe uniformly. The ability to digest milk in adulthood—called lactase persistence—is less than 40% in Greece and Turkey, but higher than 90% in the UK and Scandinavia. Another oft-cited example of rapid and recent human evolution is the appearance and spread of blue eyes starting six to 10,000 years ago. Everyone with blue eyes today apparently has a common ancestor that had a gene mutation back then, when everybody had brown eyes. For more information on the “rapid evolution” idea, check out the writings of Gregory Cochran, Henry Harpending, and John Hawks. Also consider a new book by Nicholas Wade, “A Troublesome Inheritance: Genes, Race, and Human History.” Wade is a science writer for the New York Times. Comments Off on How Fast Are Humans Evolving? Nature has in interesting article on Neolithic dairying, lactose intolerance, cheese, yogurt, and the spread of genes that allow for lactose digestion. The ability to digest milk in adulthood—called lactase persistence—is less than 40% in Greece and Turky, but higher than 90% in the UK and Scandinavia. I was recently involved in a discussion in which some folks were attempting to distinguish between what they were calling “processed” cheese and other (presumably non-processed) cheese, without defining what they mean by “processed” cheese. As I think that’s a less than optimal approach, I’d like to take a moment to sketch out why that is so; perhaps increasing, in the process, your enjoyment of cheese forever. It’s a moderately lengthy article, but well worth it for the amusement and erudition. You’ll learn how cheese is made, starting with the photons.